Review: The Secret Circle, "Pilot"
(S0101)The cast of The CW’s new fall series descended on Comic-Con over the weekend to debut the full pilot episode of The Secret Circle and to answer questions. I watched the episode out of necessity since I wanted to ensure my spot at the Nikita panel (Maggie Q!) in the same room immediately following, but since I was there anyway, I’ll give you the scoop on this new show. Cassie (Brittany Robertson, moving on from CW’s cancelled Life Unexpected) is a teenage orphan who moves from California to live with her grandma in New Salem, a charming little seaside town somewhere in the Pacific Northwest (probably Vancouver). Once there, she meets the local kids and begins discovering that all is not as charming as it appears. See, some of the kids seem to have some deep ties to each other, and Cassie finds out that she’s connected as well since her family originally lived there. Two girls approach Cassie at her school locker and act more familiar with her than one would expect from total strangers, then she notices that her previously locked locker has miraculously popped open. Hmm. She also meets a nicer girl named Diana (Shelley Hennig) who seems like someone she could befriend. Next she meets a pretty boy named Adam (Thomas Dekker, late of The Sarah Conner Chronicles) at a local diner, as well as his perpetually drunken father. When she leaves the diner and gets in her car, the two girls from school remain in the diner but somehow manage to lock Cassie in her car AND make it burst into flames, all while one of them mutters something about how Cassie can make it stop. Hmmmm. Adam rushes out and thinks the flames out of existence, then carries her out of the car and keeps holding her. Because flames on the hood somehow made her legs useless? That’s a pretty clumsy and forced bonding moment. So now we know supernatural forces are at play here, but how is Cassie involved? Well, one night in her bedroom she discovers a hidden compartment that houses a handmade book of some sort, I’m assuming spells, along with a letter from her deceased mom that apologizes for not being there to protect her any more or even inform her about her true nature. You see, mom moved away from New Salem because she wanted Cassie to lead a normal life, but with mom’s passing she realized Cassie would end up back there. Cassie questions her grandma, asking if there’s anything she wants to tell her, but grandma stays mum. Adam invites Cassie to meet him in the woods, where she finds that Diana, the two mean girls, and another boy named Nick (Louis Hunter) are also waiting for her. The worried Cassie asks what they want with her, which leads to some hemming and hawing until alpha mean girl Faye (Phoebe Tonkin, an Aussie playing American here) gets right to the point by announcing that Cassie is a witch, and so are the other five kids. They go on to tell her that they have minimal powers on their own, but when combined with others they get progressively powerful until their maximum configuration of six, their “secret circle”. It’s also a generational and hereditary thing, meaning that their parents were also part of a circle, and their parents before them, and so on. Unfortunately, there was a horrible tragedy with the previous circle, so all of the kids have lost a parent. Cassie doesn’t believe any of that hogwash and dashes out of their meeting place, with Adam hot on her heels. When he catches up with her in the middle of the forest, he gets her to try levitating a drop of water on her own, to no avail until he grabs her hand and enhances her power. When she opens her eyes, she finds that they’re surrounded by levitating drops of water all through the forest around them, a magical moment that recalls the little floating neon critters engulfing Jake in Avatar. That magic also almost leads to a passionate kiss between Adam and Cassie before she freaks out about the water and Adam and runs away. Good thing too, since Adam is Diana’s boyfriend. He drops by her house and apologizes late that night, but we all know that’s not the end of that attraction. Later, Faye decides to start working on increasing her power by standing on a dock and conjuring up a ferocious storm, but when she’s unable to stop it Cassie comes to the rescue while also coming to terms with her previously unknown skills. Now that she has accepted that she is a witch and the secret circle is no longer a secret, we have the rest of the season to delve into the inevitable romances and backstabbing among the kids as well as their parents. Those parents include Natasha Henstridge (Species) as well as Gale Harold (the law professor on Wildcats), both of whom appear to be evil, with Harold’s character threatening to drown Adam’s dad on land by magically filling his lungs with water at the end of the episode. So will I keep watching? Nope. The actors are easy on the eyes, but the pilot did little to capture my imagination or continued attention. You can make your own decision when the series debuts on September 15th. Who is Cassie’s dad? I know the mom is dead, but it wasn’t really clear to me what happened to her father. Was he in the previous circle, or was it her mom? If a secret circle is a maximum of six kids and they have to come from different families, what happens if two witches have a kid? And what's so special about those six families? Do the dudes mind being called witches? Wouldn’t they prefer the cooler warlock name? I sure would! Brittany Robertson is the apparent star but also the weakest link, with barely any charisma or screen presence in the pilot, so the supporting characters will need to move to the foreground quickly to keep this show going. Shelley Hennig was the best thing about the pilot, closely followed by Phoebe Tonkin as the bad girl. Really, Kevin Williamson and CW? Another supernatural show? Talk about going back to the same well too many times. Also, didn’t CW (then WB) already cover witches with Charmed only five years ago? And don’t they still have witches on The Vampire Diaries too? Come on, Thomas Dekker, a high school role? You’re going on 24! 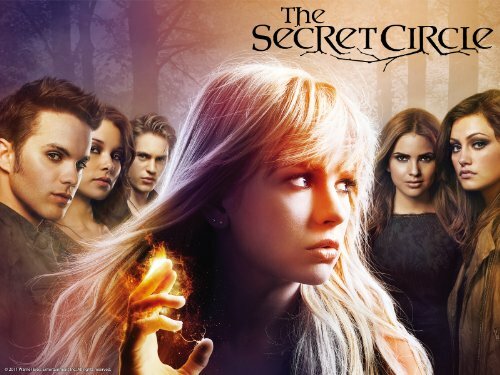 Video: The Secret Circle, "Pilot"
With the success and rabid fanbase of Supernatural (plus Twilight, etc. ), not surprising to see The CW going to the well again. THanks Steve ! I think all the kids are in their early to mid 20's; why pick on Dekker, who's not even the oldest? Especially when shows like Glee have 30ish high schoolers. Gale Harold was not "the law professor on 'Wildcats'". Even if his last credit were his most well-known credit, the name of the CW show he previously appeared on would still be "Hellcats". And for a lot of us, the best reason to watch this show happens to be Mr. Harold. I haven't noticed anyone else singling out Shelley Hennig (no offense to Ms. Hennig) as the brightest spot in the pilot (Gale Harold, yes, a bunch of times), but to each his own.